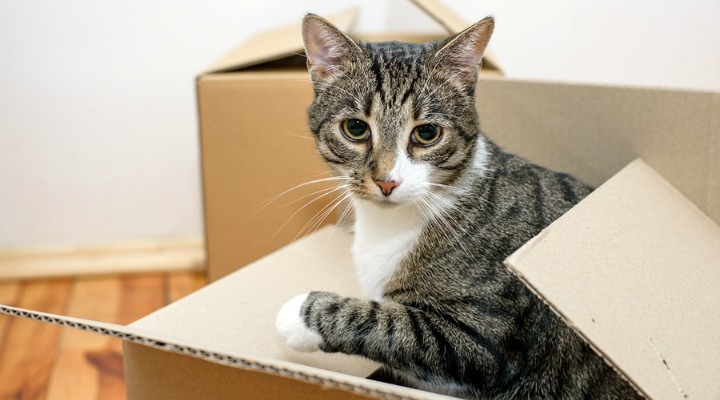 Listed below are several tips to help you safely move with your pets. Plan Ahead If you plan to use a carrier for your pet, get one ahead of time and begin by getting your pet used to be in in it, if they’re not already. Purchase New ID Tags As soon as you know your new address, update your pet’s ID tags to include the new address and phone number where you may be reached. A lost pet’s ticket home is up-to-date information. Keep Your Pets Safe and Calm Try placing your pet in carrier knot [SP] in a quiet, safe place such as the bathroom so that he or she will be safe and out of the way. Place a large sign on the door so the moving employees are aware of the pet’s location. Make a Trip by Car Safe Because most cats are not comfortable traveling in a vehicle, it’s a good idea for their safety as well as yours to place them in a secure, well-ventilated pet carrier. You may wish to adopt the same with other pets not accustomed to riding in a vehicle. Never leave your pets alone in a parked car. As the temperature rises, it may injure or even kill them. Never put your pet in the trunk of a car or the cargo storage area of a moving van. Find Hotels in Advance A list of animal-friendly hotels can be found online at bringfido.com, petswelcome.com or travelpets.com. Plan Ahead for Air Travel Check with your veterinarian, the airline, and the U.S. Department of Agriculture in advance to ensure a smooth travel experience. Prepare Your New Home Take the familiar and necessary things with you that your pet will need from day one such as the feeding bowls, medications, and bedding. Also, keep a recent photo on hand in the event that your pet gets lost. This information was gathered from the United States Humane Society.